Many b-to-b suppliers have accumulated many channel partners, yet few have the resources to engage equally with all of them. As a result, suppliers tend to focus exclusively on the 10 to 20 percent that performs best. A more strategic approach is to identify and focus on partners that are most likely to adapt, grow and stay aligned with the supplier in the future. 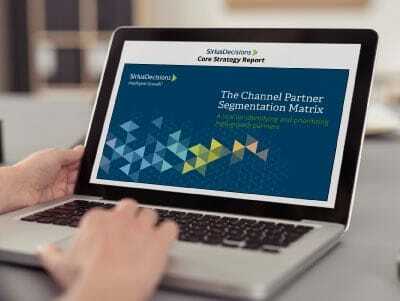 Get your copy of this SiriusDecisions Core Strategy Report to learn how to identify and prioritize partners with the highest growth potential.